after pinedale we headed to mount rushmore. 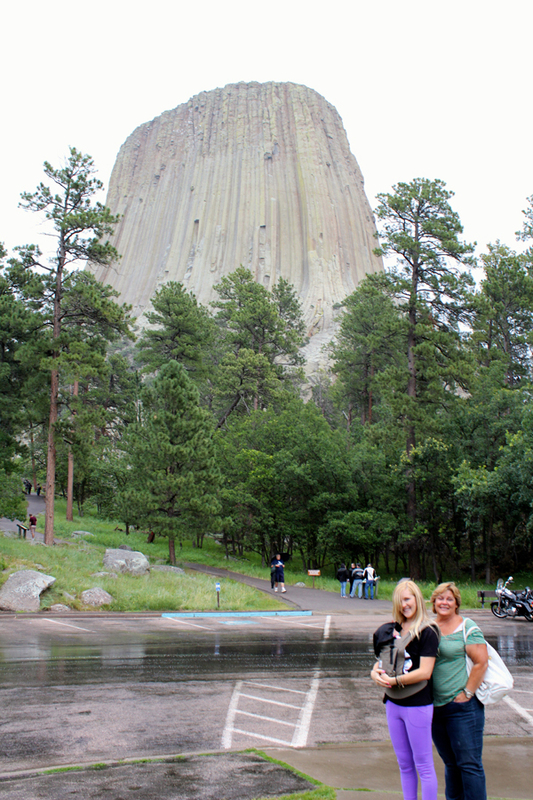 allllllll the way in south dakota & along the way we made a pitstop at devil's tower. a huge, crazy, cool rock. 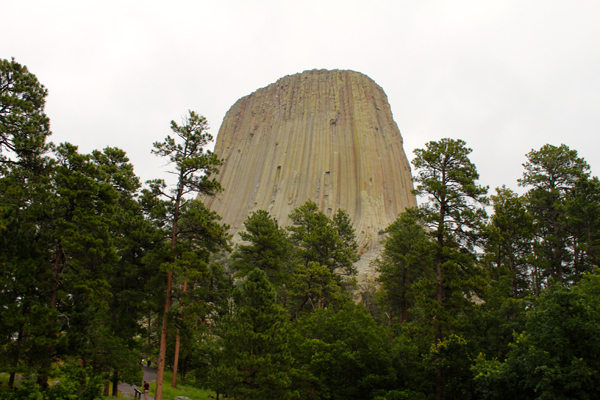 like pinedale, devil's tower is also in the middle of absolutely nowhere. 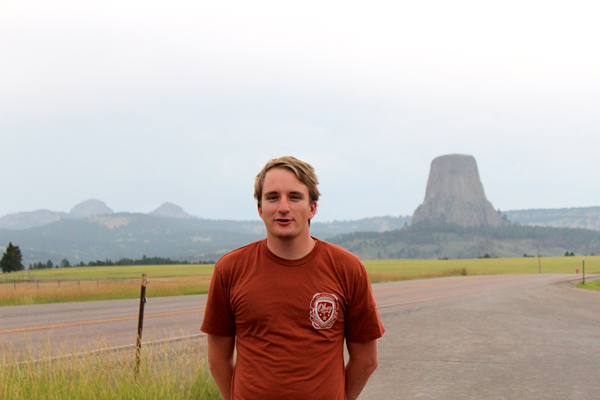 but, also like pinedale, it's gorgeous. it was such a pretty drive heading into devil's rock. plus, there was an awesome lightning storm going on while we drove in, which was pretty cool. 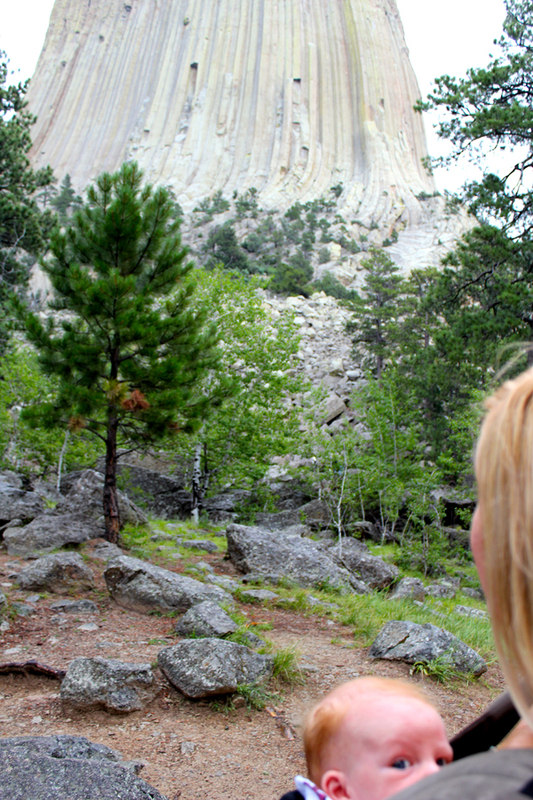 i just like that cedar is popping into this picture...anyways, devil's tower is super cool to see. i think if it hadn't been raining so much we would have checked it our for longer & walked around more, but we weren't too into hiking about in the rain, and cedar was even more less than impressed with it than we were. Wow, this is amazing. I had no idea that even existed. Bucket list for sure!